With colder weather slowing moving in, many people are starting to remember how much they hate the cold. While it can be fun to have a white Christmas, and if you are an avid winter sports fan, living in a colder climate might not be all that bad for you. But, for those who prefer to not have to bundle up every time they need to step outside their front door, or shovel snow multiple times a day, moving to a warmer state is tempting. Aside from moving away from all the snow, cold, and dangerous road conditions, there are many benefits to living in a warmer state. Whether that requires moving across country, or simply moving across state lines, there is a whole slew of benefits that await you, aside from the warmer reading on the thermometer! Generally speaking, with dedication, hard work and education on your side you can usually find a decent job that pays well, anywhere, despite the climate. However, states that have a warmer climate year-round often have a larger tourism industry than states with a colder climate. Due to the warmer climate, these states tend to also be host to popular recreational destinations, that attract large crowds. Due to the high number of tourists, there is a need for qualified individuals to fill positions at hotels, resorts, theme parks, restaurants, shopping malls, night clubs, bars, and other popular attractions! If you’d prefer to start your own business, or prefer to experience a change in pace from your current employment, consider moving to a warmer climate. You might be surprised that alongside all of the job opportunities that are available, you may also find more financial success as well! Living in a warmer climate means that you are able to enjoy exercising outdoors year-round. While many colder climates offer the excitement of winter sports, often times they require special equipment and clothing in order to fully enjoy the sport. If weather is especially bad, most might prefer to forego an outdoor adventure to spend time inside where it is warm. This is an area where it really pays off to live in a warmer climate. A location that enjoys pleasant weather year-round, provides residents the opportunity to enjoy their time outside, without requiring additional accessories. You can go for a walk around the neighborhood, jog to your favorite park, enjoy a picnic with your friends, or even go for a quick swim! The possibilities for exercising outside are endless when you live in a warm weather climate! Not to mention, spending more time outdoors means that you’ll be able to soak up more of the important Vitamin D! Vitamin D plays an important role in your overall health, including inhibiting cancer growth, stimulating insulin production, and helping to regulate your immune system! Living in a warmer climate, and enjoying more time in the sun can have a positive impact on your health! If you live in a cold climate, you know that during winter months you have to layer on the clothing, and bundle up before you can venture outside. Generally, with thick socks, heavy winter coat, snow boots, hats, gloves, and possibly a scarf, you might be ready to brave the cold. Additionally, you might have to invest in snow shovels, snow ploughs, snow and ice melt, snow tires and chains, personal space heaters, or improved home insulation which can add up to cost a small fortune every year. If you were to move to a warmer state, you could invest that money on other essentials that are more geared towards your new lifestyle, such as swimming suits, sunglasses, or sun tan lotion! 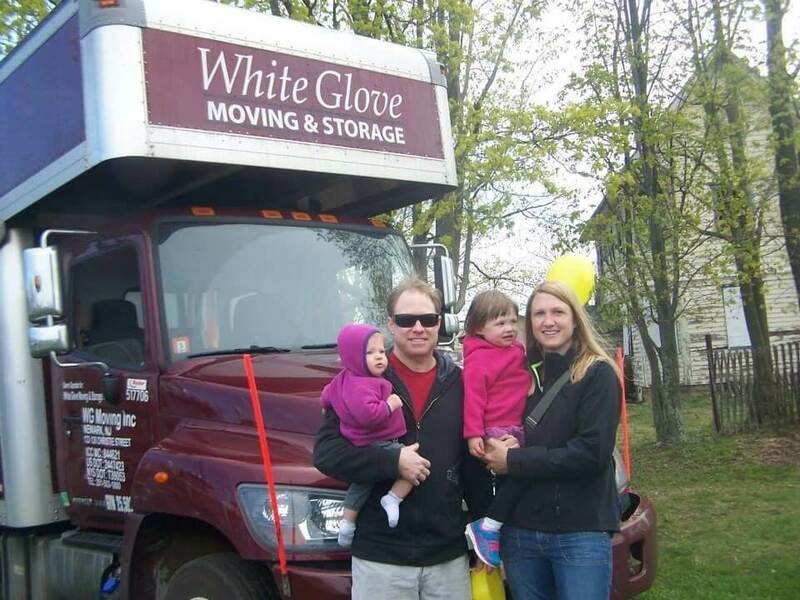 If you are now convinced that moving across country, or simply across state lines to a warmer climate is the right move for you, contact White Glove Moving and Storage today! We can help with everything from packing your possessions, to moving them to your new home to ensure that everything arrives safely. Contact us to learn how we can help make your move an easy and enjoyable experience!